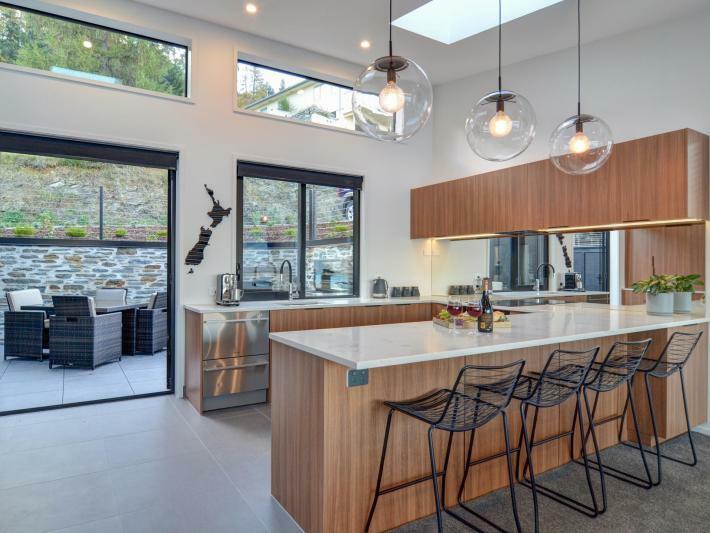 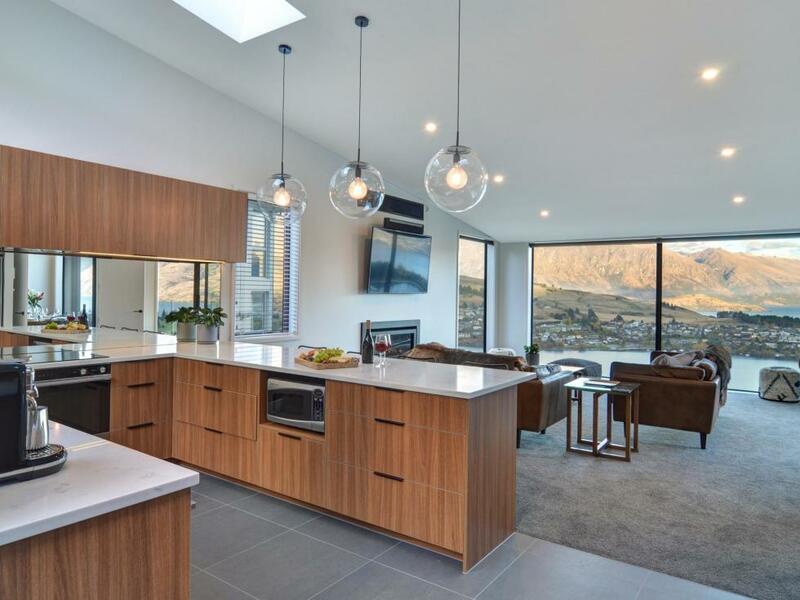 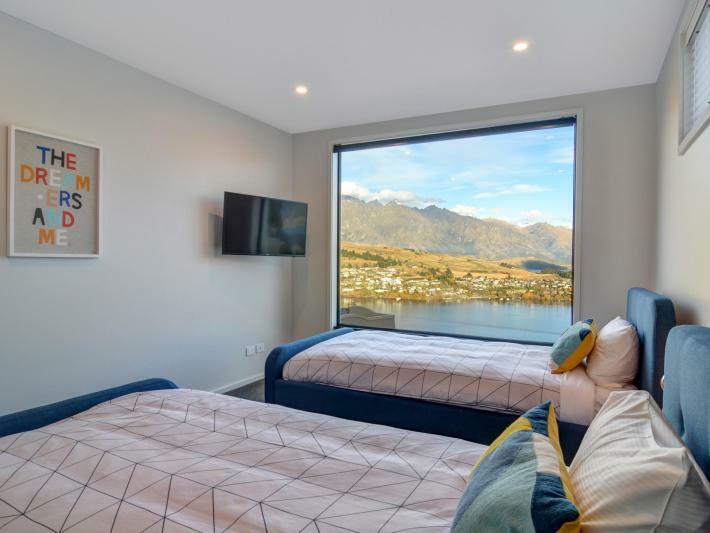 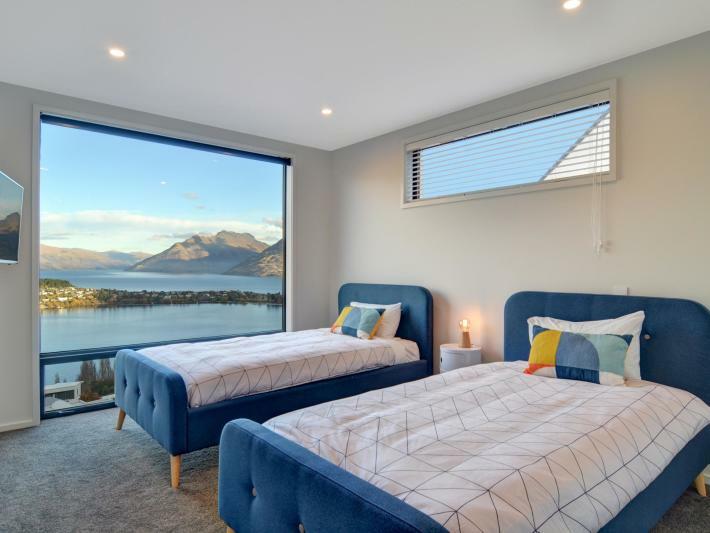 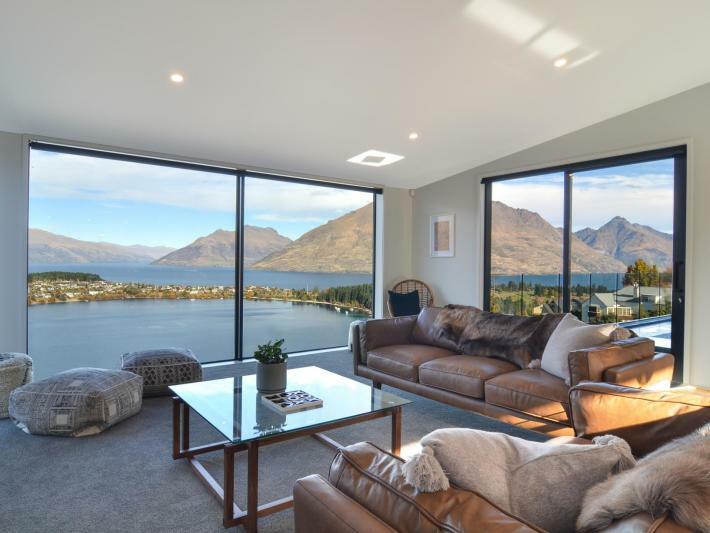 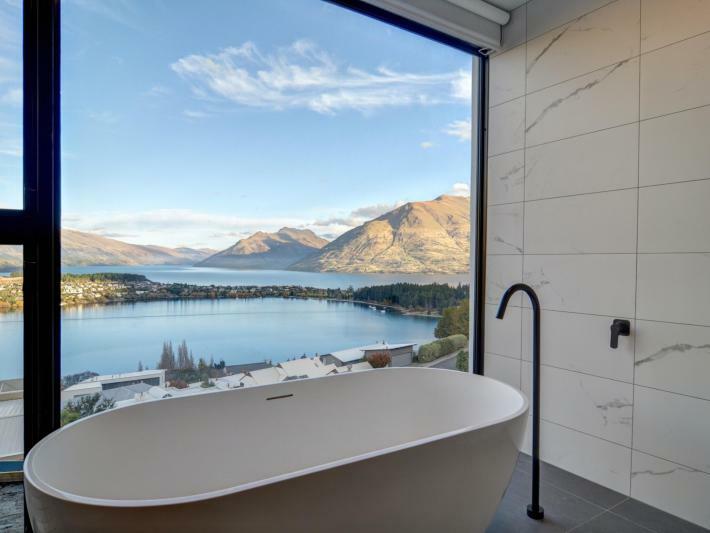 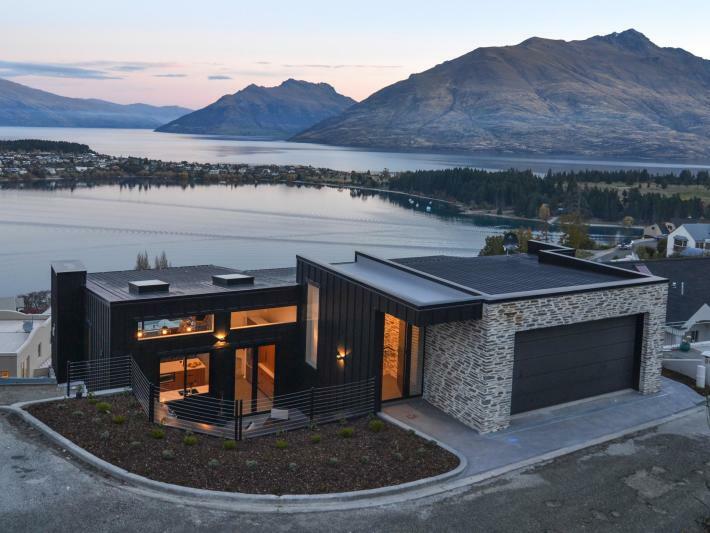 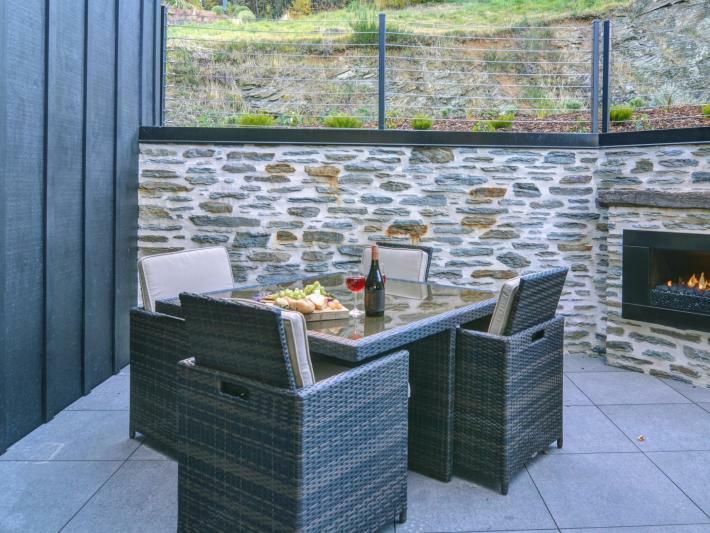 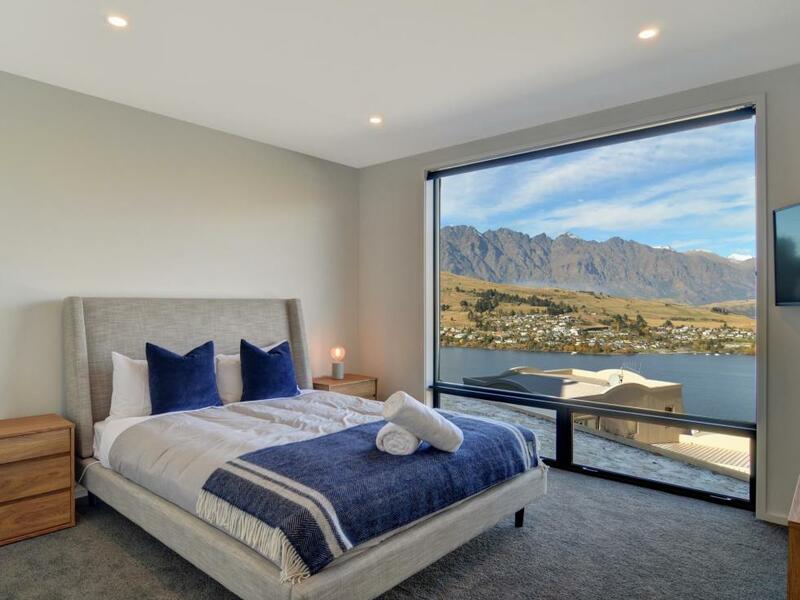 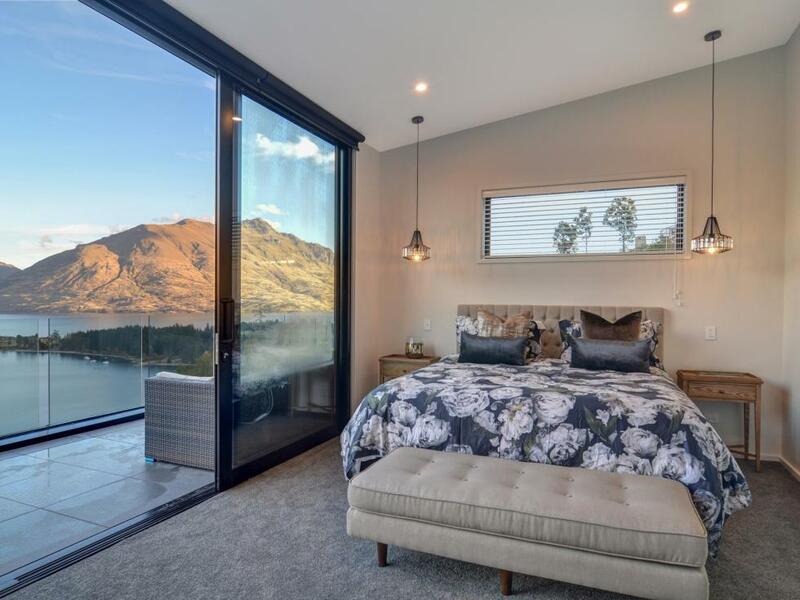 This contemporary designed luxury home positioned on Queenstown Hill has stunning panoramic views across Lake Wakatipu and The Remarkables. The home has five beautifully presented bedrooms making the property ideal for families and groups of up to 10 guests. 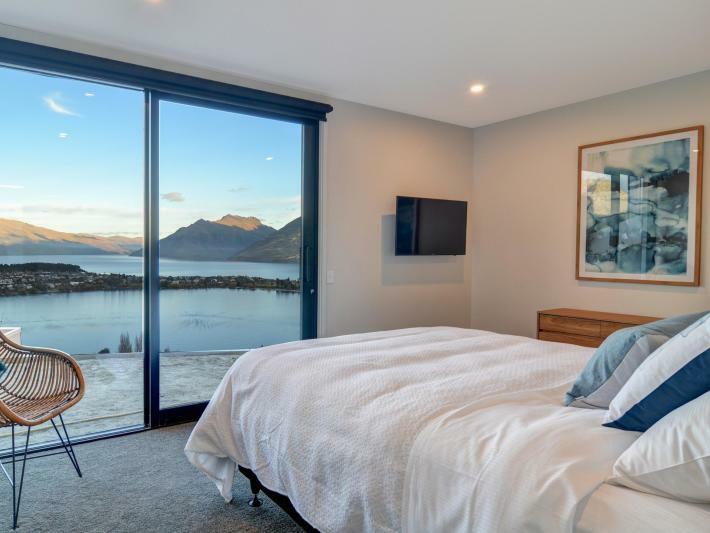 Upon entering the home you are met with the stunning lake views from the main entrance and staircase that takes you down to the mid level of the property with the main living. 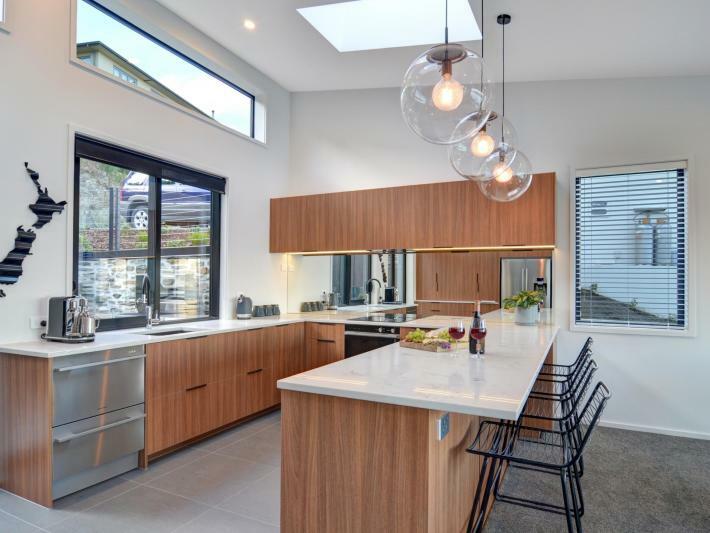 The space is open plan and light and bright with a dream entertainment kitchen, lounge area and private outdoor courtyard equipped with a fire place and BBQ, perfect for summer and winter entertaining. 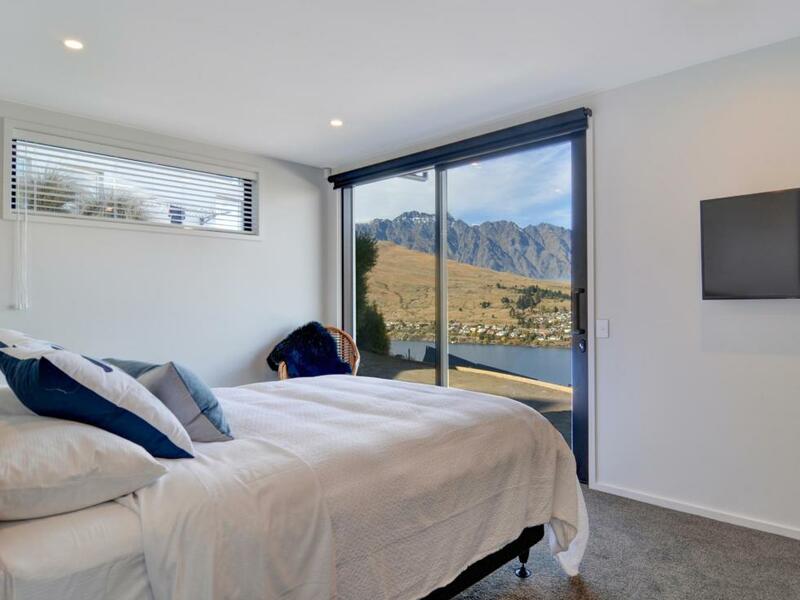 The master bedroom is on this level and enjoys lake views with a walk in wardrobe and sleek ensuite bathroom. 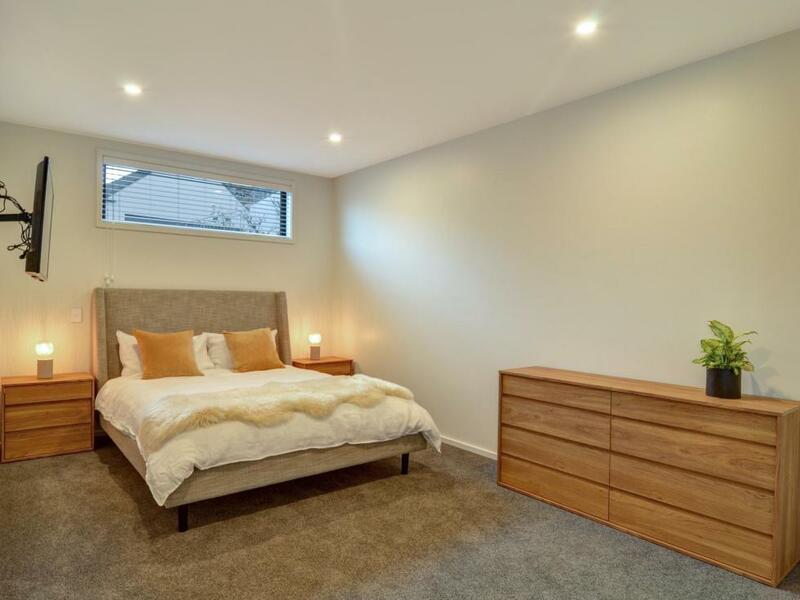 Take the stairs down to the lower level where you will find a further 4 bedrooms all beautifully presented with luxury bedroom linens and designed bespoke furniture. One of the bedrooms has an ensuite shower room and the other bedrooms share the luxurious bathroom with a freestanding bath tub, floor to ceiling glass windows with lake views. 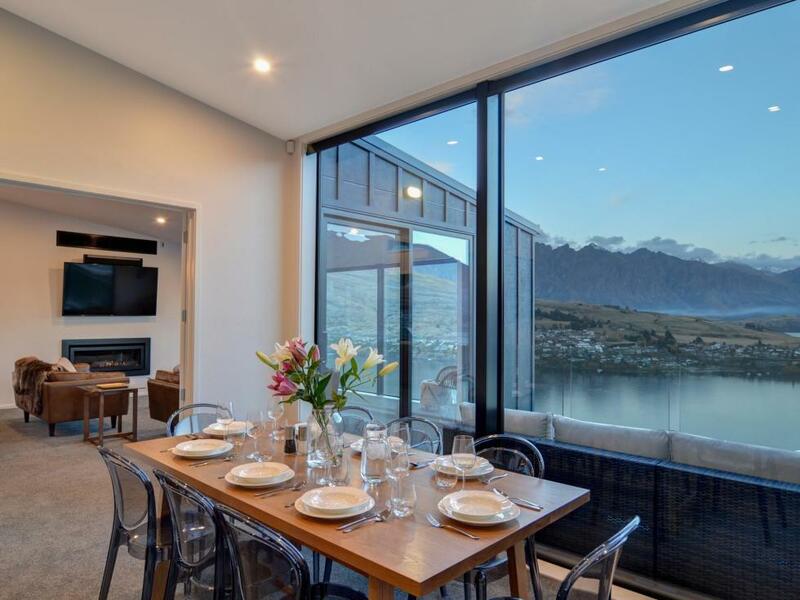 The property has been well designed and thought out by its owners from the entertainment system to the heating and cooling of the property you will find the house to be warm in the winter and cool in the summer.